Providing Executive & Whole-Life Power Coaching® for individuals and groups. Coaches listed in this directory of Coaches can provide service in a variety of ways including 'in person', 'via telephone', 'in the form of seminars/workshops' or 'via cyber/email methods'. The CLI Power Coaches listed in this Directory have paid a Membership/Licensing fee which includes this self-maintained listing service. They co-create and nurture the relationship. 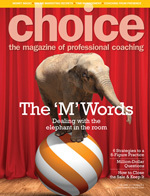 They combine Coaching, Mind-Kinetics® & Mentoring. They guide you to create great clarity and awareness in any competency in life. They facilitate Learning and Results for your prosperity. You can restrict your search by selecting from the various criteria listed below. Leaving the checkboxes blank will bring up coaches with any of the criteria listed. Checking one or more boxes will limit the search to only coaches who match the criteria you selected. Leaving all fields blank will return a list of all the coaches in our database.